So it’s now October – how did that happen?! Summer has long gone and no one dares to speak of the holiday season swiftly getting closer. Oops have we made you feel a bit sad? Okay here is a joke to cheer you up – what did the tree say to autumn? Leaf me alone. Yes, we are so witty. Taken from our Tumblr page – Oh Holy Shet! – here are some of our favourites PR victories and catastrophes from September. 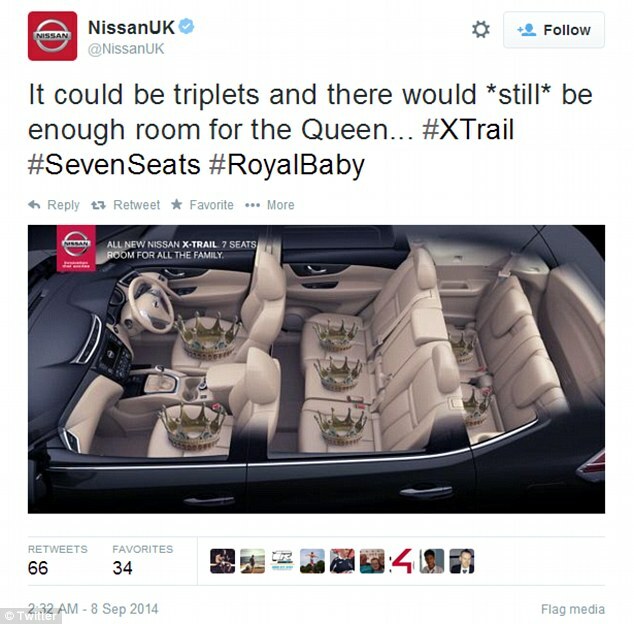 Some of the good’uns include Reed and Pampers, but it was Nissan who surprised us all by releasing a new advert SEVEN minutes after the news was announced. Well done – clearly forward planning works! Apple has been the subject of many jokes following the release of its latest iPhone with reports about how the new iPhone 6 Plus bends when sitting in a user’s back pocket. As a result, the hashtags #bendgate and #bentgate started to trend on Twitter – not what Apple would have hoped for! But although it appeared to be bad for the big tech brand, many brands jumped on the bandwagon (or wheelbarrow) by creating spoof adverts. One of the brands who was especially successful was KitKat, who not only Tweeted a couple of amusing comments, but ended up going viral generating over 20,000 retweets and over 9,000 favourites. Well played KitKat. The final day of the football transfer window is always a manic one and even the smoothest of comms teams can buckle under the pressure. Though Leeds United’sPR/marketing guys took an unusually chipper approach to what had been a disappointing day for the club. The final hour of the window saw the club sell strike Matt Smith to Fulham. That was it. No big signings. The club’s Twitter feed opted not to reflect that – posting a happy little tweet celebrating the end of the window. Fan reactions were… interesting… though not surprising. If the comms team were genuinely live tweeting, then this was a massive mistake. But this actually wreaks for the dreaded ‘scheduled tweet’ – set up weeks in advance to go out at a certain time. We rarely recommend that approach – least of all when your audience is thousands of angry football fans! The user attached the photo of Fred and Rose West, the notorious serial killers from the 1970’s, which Trump retweeted to more than two million followers. Oops. This mistake resulted in Donald Trump autumn-atically trending on Twitter. You have been trumped, Donald.